pleae pray fpr me michelle m for great reading and for art duing week also girl who whines wont hurt me again in chruch and want to know everything and then uses it to hurt people. 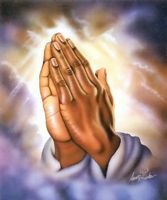 please pray for me for gds protections and for b very solid boundaries for cont herbs aid and aid. also for research to go vegood looking for reaching funding and scholarships for sense of humor not being madde fun of and not being disgfaced. and fr love and support encouragement not to be called names by anyon c not lying about me anymors she has been and for fnaicla gifts and funding and for babra m for ng and kendness toward me and others too and for bslessings and graces for me. strong faith hike during week good friends validation positive affirmations and for less socity oppression for me micehhel for me to read biiks and for walks and morning ballet stretches and exercsies and for I like sea land air please pray for colo to getr t snow not floods and fires please and for those in calif who lost their homes and those that passed awat.